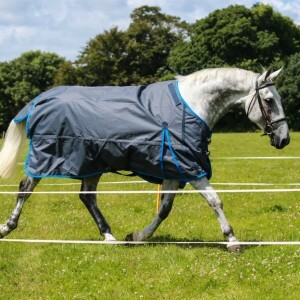 Making escapes a problem of the past with our Fence Buster anti-escape rugs- clever fabrics simply carry the pulse from the fence through to the inside of the rug the instant contact is made with the fence – a highly effective design that ensures your horse remains on the right side of the fence but is also snug and warm in a luxurious 250g rug and removable neck cover. 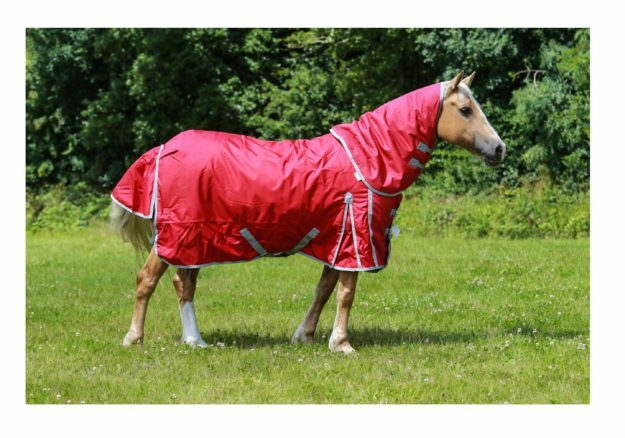 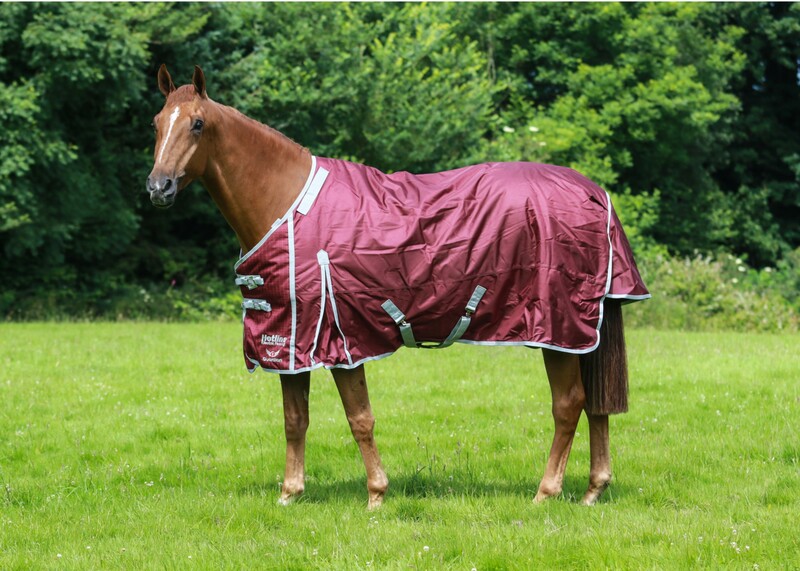 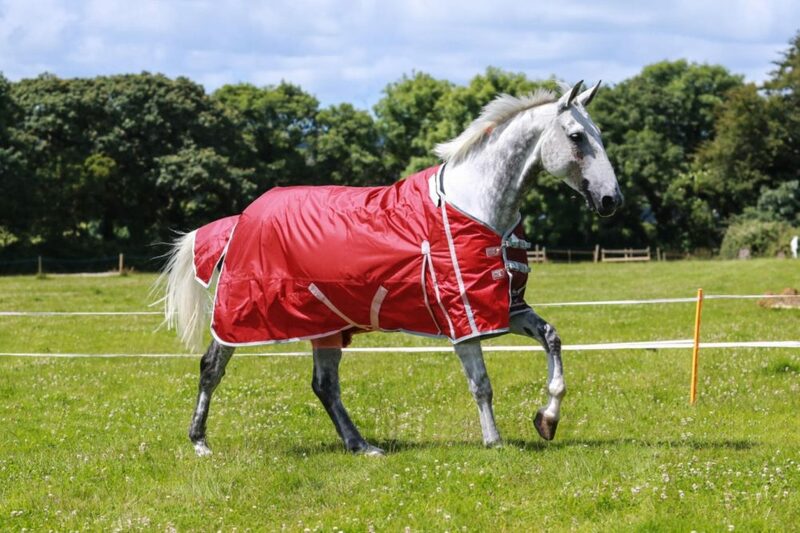 The Fence Buster is a luxurious rug and removable neck cover with a strong 1680d outer, Teflon coating, medium weight 250g filling, fleece wither pad and xxxl tail flap for complete performance in all weathers. 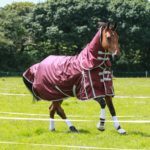 If your horse makes contact with an electric fence the clever fabrics in the rug and neck cover instantly carry the pulse through to the inside of the rug – meaning your horse always feels the full pulse and prevents your horse from breaking through, leaning over or ducking under the fence. 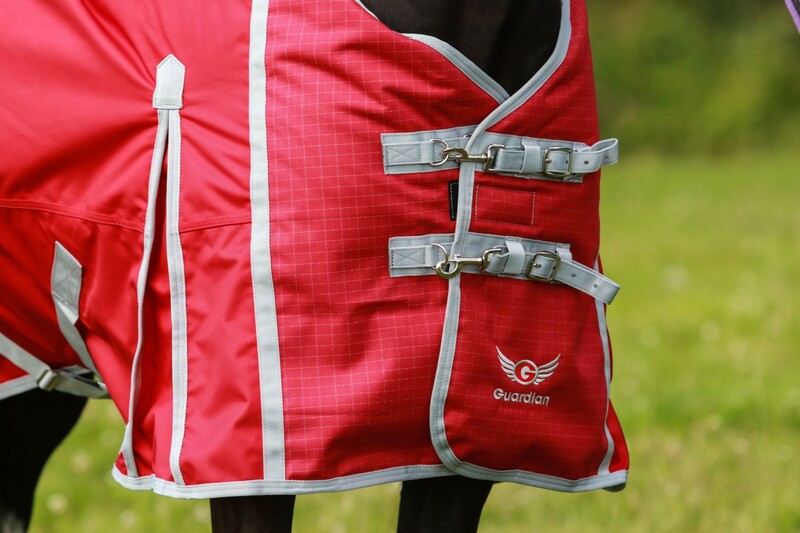 A high performance design that enables your electric fence to be effective even when your horse is wearing a nice thick warm rug and neck cover. 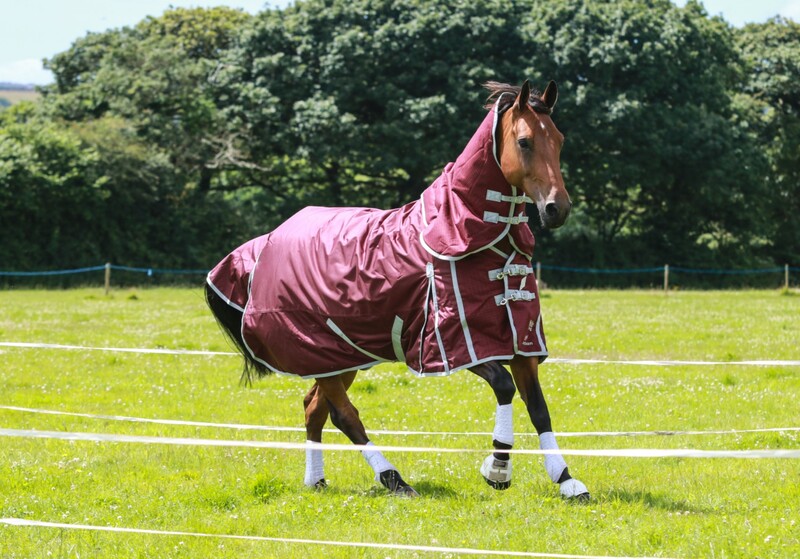 The clever design means you can still layer up any brand stable or fleece rugs underneath your Fence Buster and your horse will still feel the full effect from the fence – for more information visit our “How do they work” page. 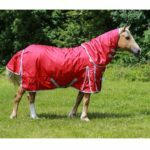 Order and Delivery – All orders are dispatched within 48 hours and are normally on a 24 hour recorded courier – you will receive an email when your orders is dispatched, you are able to instruct the courier to leave your delivery with a neighbour or in a safe place. 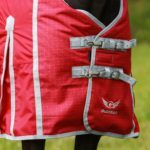 *** Free returns and size swaps *** Free Delivery to UK mainland for orders over £100, for orders under £100 a postage charge of £7.14 (VAT incl) is added at the checkout for a tracked and signed for courier. 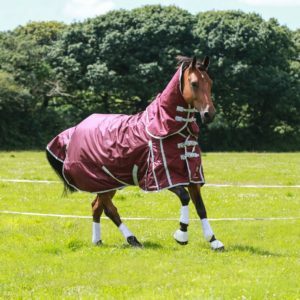 Returns – We are so confident in our rugs performance at preventing escapes that we offer a “no questions asked” returns option within 2 weeks of your delivery date, so in the unlikely event that your horse still goes through the fence with our special rug on, you can get a full money back guarantee within 2 weeks with the rug in any “used” condition. 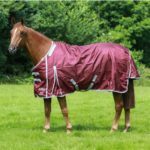 This is something we have always offered, and in 5 years of trading we have only ever had 4 horses that still go through the fence with one of our rugs on – that’s an impressive success rate of over 99%. 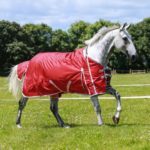 5'0 Out of stock in Red/Grey – See Burg/Grey listing, 5'3 – Out of stock in Red/Grey – See Burg/Grey listing, 5'6 Out of stock in Red/Grey – See Burg/Grey listing, 5'9", 6'0, 6'3", 6'6 Currently out of stock in all ranges, 6'9", 7'0"